This was a gift I made for a sweet friend recently. The Emily Bag, originally seen here when I made them for Godsister's wedding. I was rather pleased as punch with the outcome. Specifically because I had a difficult time finding the hardware in the correct size. So I ended up using a piece that was a bit smaller than planned. And I LOVE it. A very happy outcome will be the standard for each time I make this bag again in the future. I'm so thrilled (now...I wasn't then) that I couldn't find the original hardware! 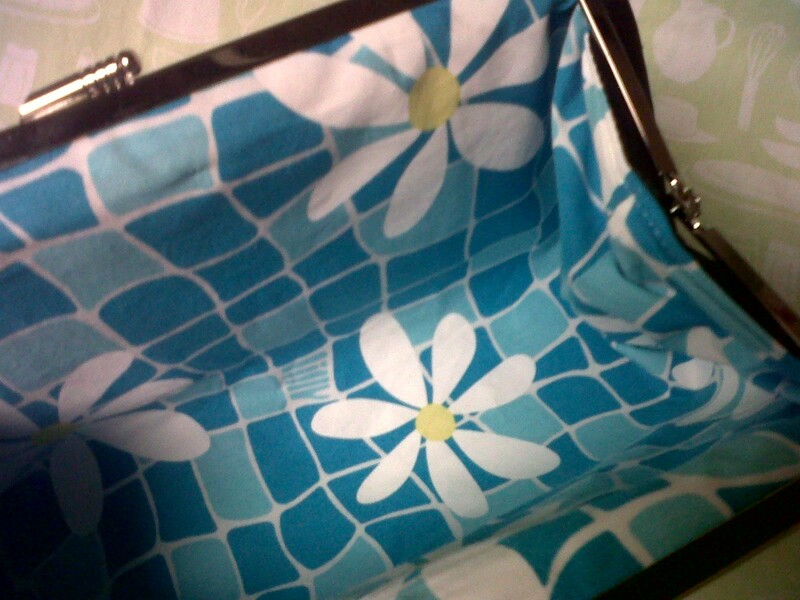 Black satin outside and bright blue and turquoise Lilly Pulitzer fabric daisy print inside. A happy surprise just for the bag owner. What a fun happy pattern inside ! That is the perfect size bag. 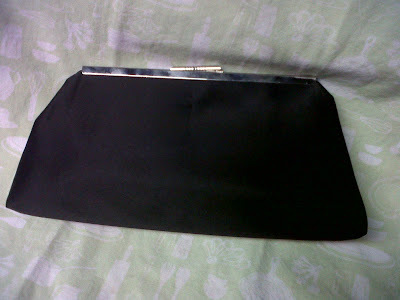 So many times recently, your Emily bag would have been the perfect accessory for me to use. Love everything about it.